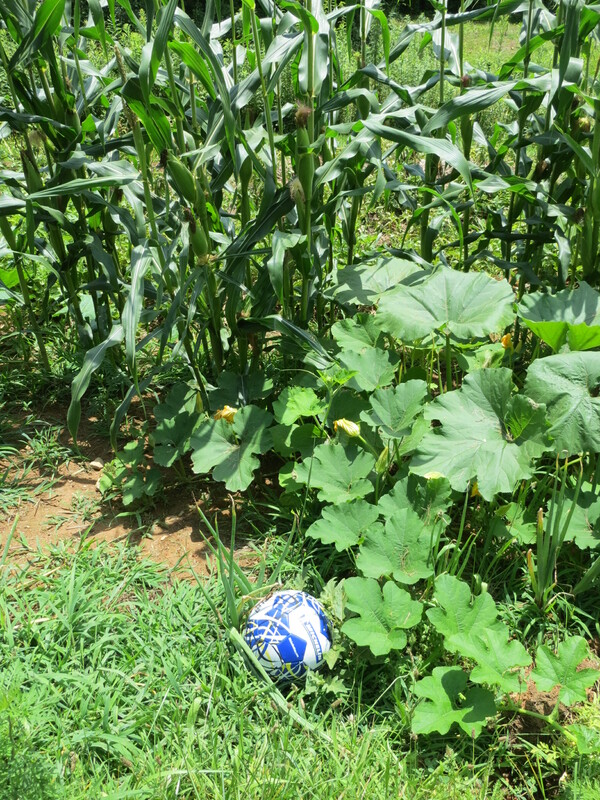 Well, I nearly always find a ball in the garden because we live at the top of a hill and whenever the children play soccer or basketball and the ball gets away from them (as it often does) and rolls down the hill, they often give up the game and run off the to something else. 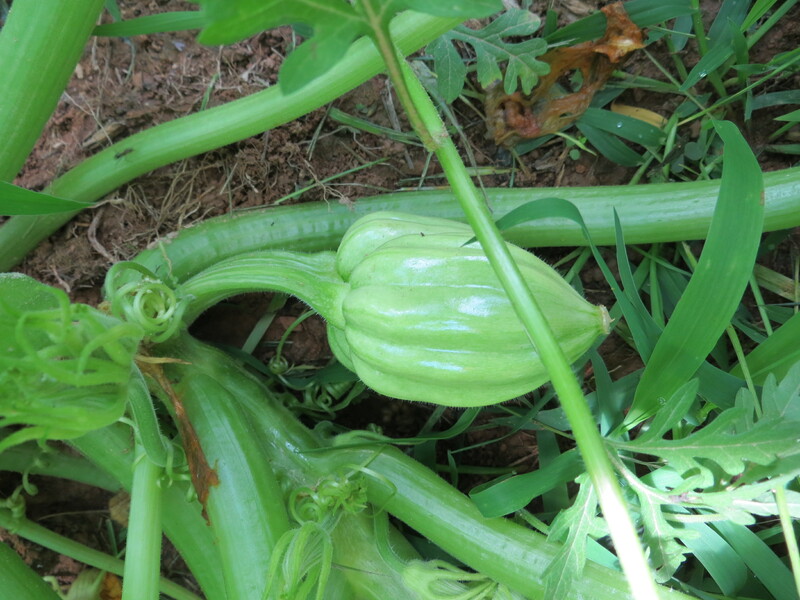 However, the plants are going strong, though one of the gardens is being taken over by pumpkins and winter squash. I’ve never had any luck with them in the past. 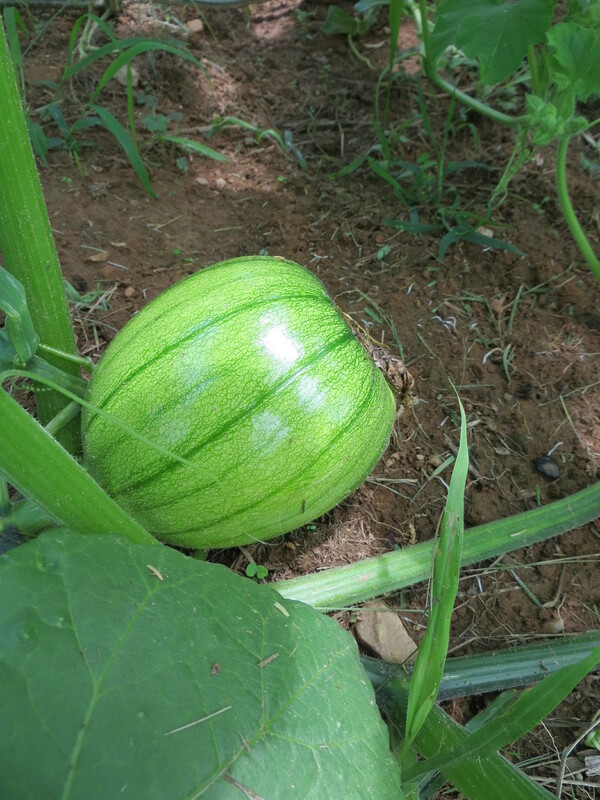 Actually, I’ve never grown pumpkins because they require so much room. 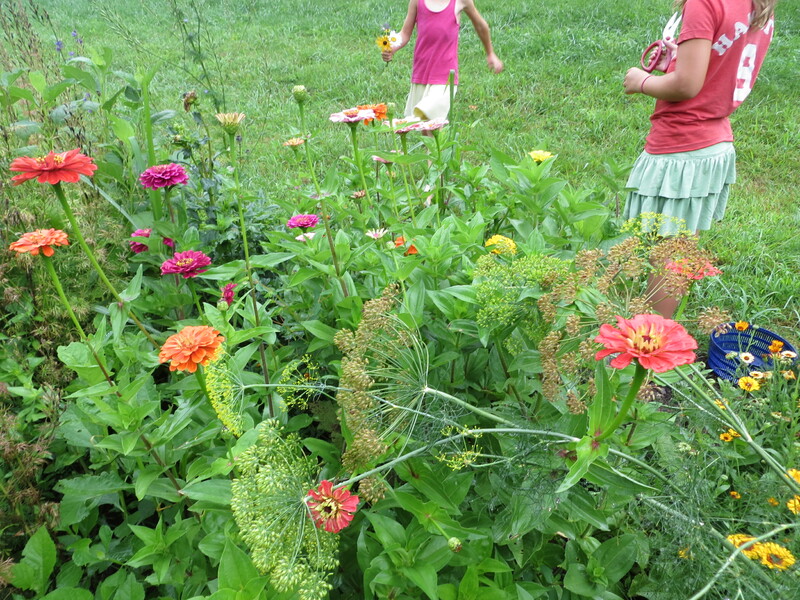 They are amazing, stretching out over everything–over the beans, through the corn, onto the lawn. Tiny pumpkins and squash are there. More squash than pumpkins, which is good because we will eat the squash and Hythe is determined we are going to have lots of jack-o-lanterns which I am not as excited about (I’d rather make pie!). 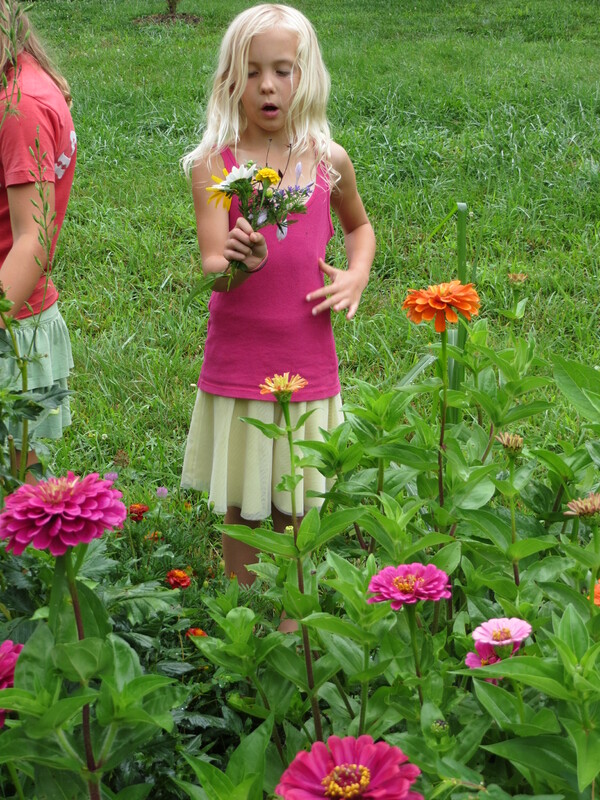 The zinnias in the cut flower garden are blazing. So vibrant and happy. It is nice to be able to bring them in the house. 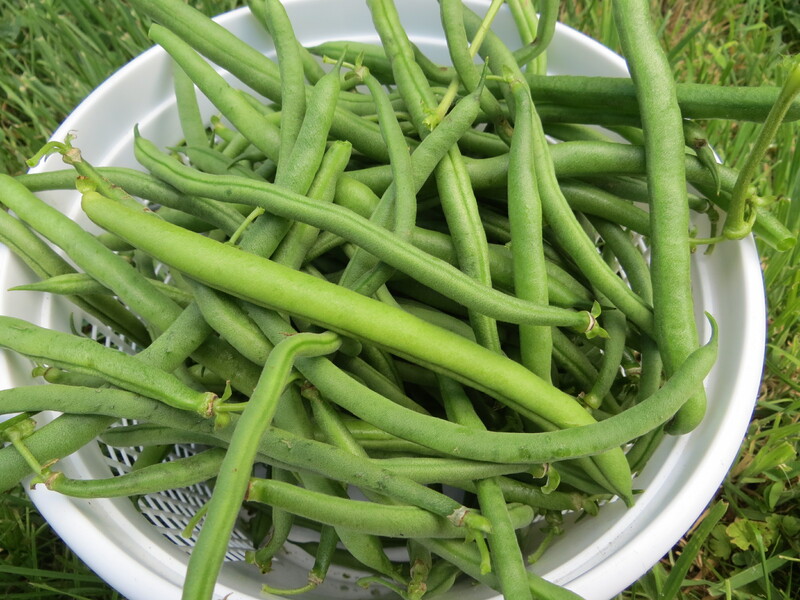 We are getting loads of green beans still despite the bean leaf beetles and the pumpkin vines. 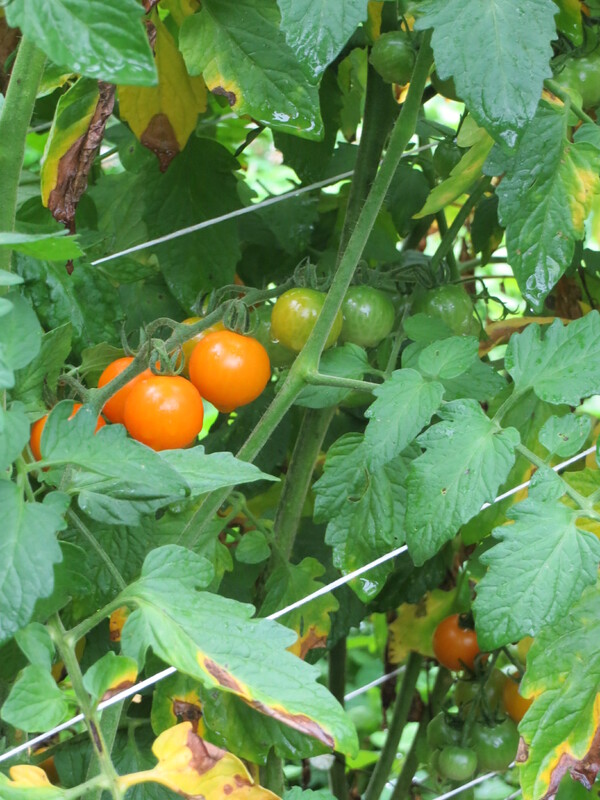 And, tomatoes are ripening everyday, even though we have late blight. I made a tomato pie last night for William and I (and Anne ate a piece for lunch!). Tomato salads and sandwiches are for lunch and supper (and breakfast sometimes). Soon, I will make sauce and freeze. We picked nearly all the sweet corn but the popcorn is growing. Sweet corn is usually a disappointment in our home garden. 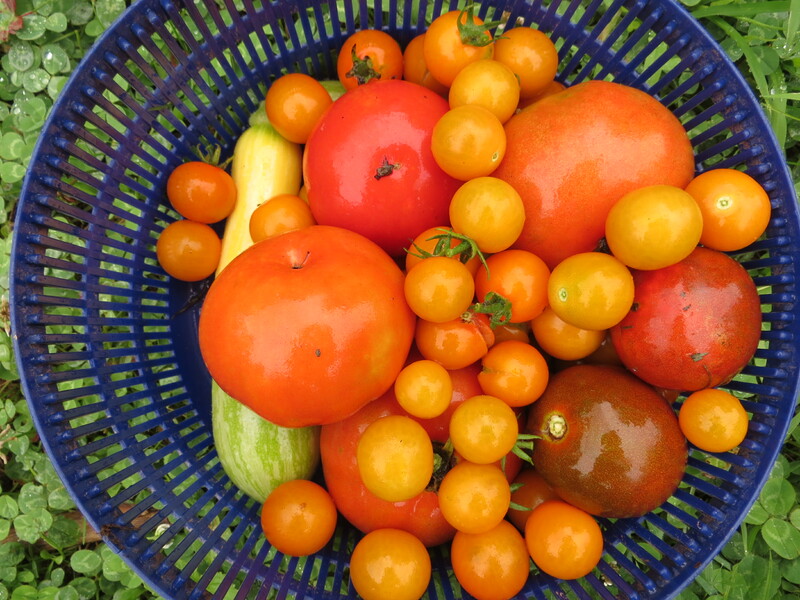 We get just about enough for one meal–so many ears with poor pollination, some picked too early (by little hands eager for the first sweet corn). It takes so much room, for so little result. 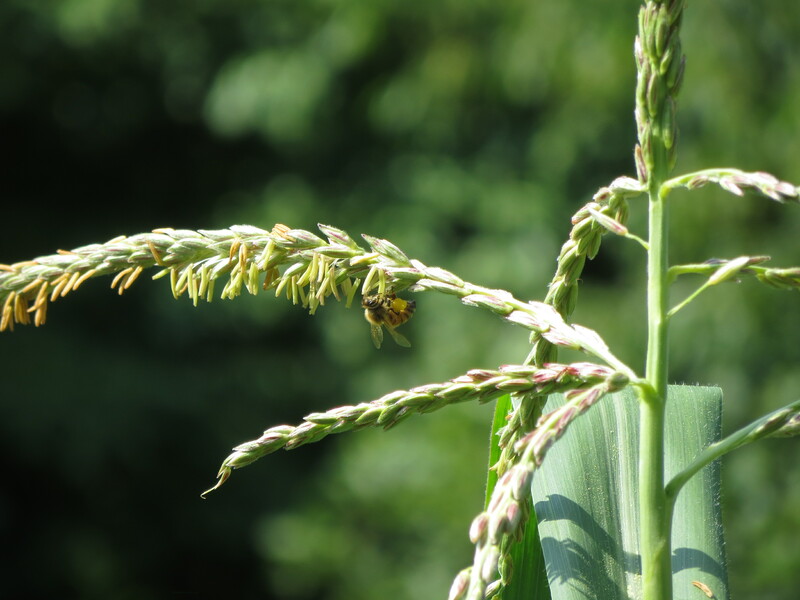 When I checked the corn a week or so ago, I heard a loud hum and saw bees massed around the corn tassels. 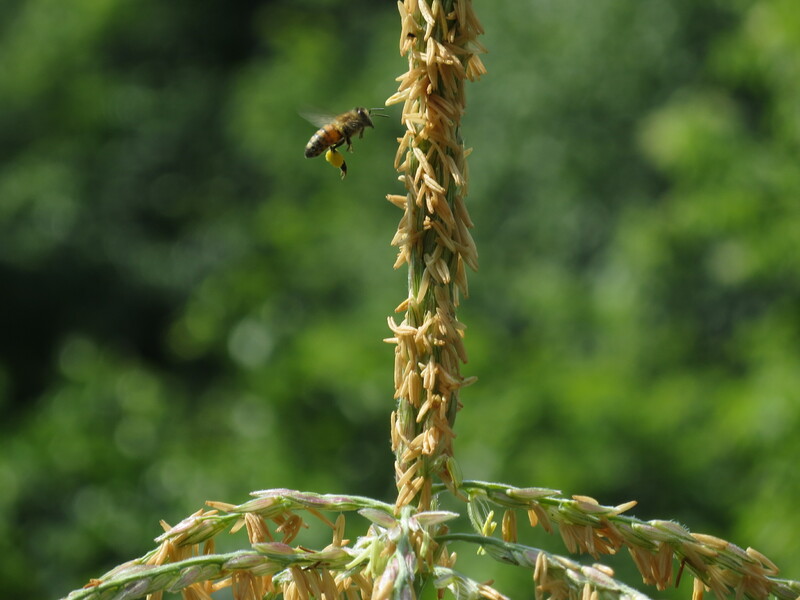 I was surprised since corn is usually wind pollinated. 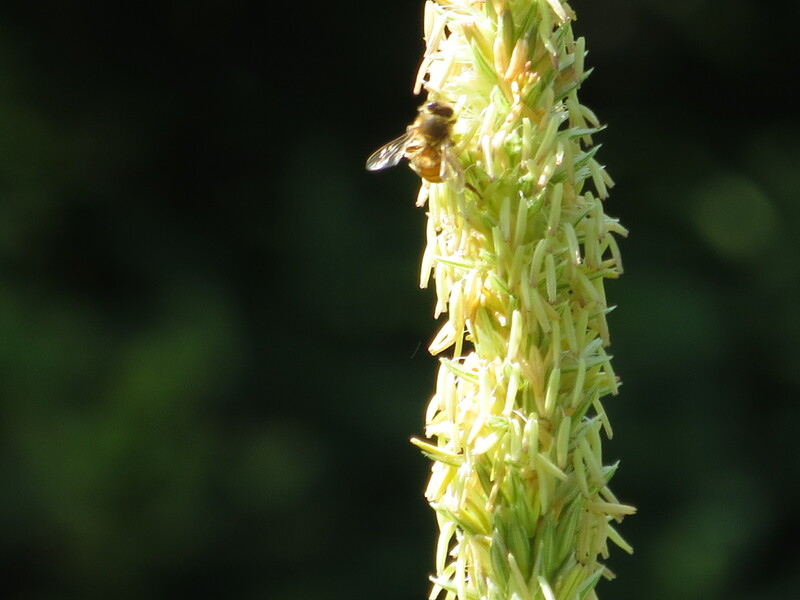 I did not know bees would gather the pollen. Any bee keepers out there with answers?